New Soul EV goes the distance. Kia debuted the new Soul back at the LA Auto Show and shocked us all with news that it would be fitted with the 64-kWh battery pack found in both the Niro EV and Hyundai Kona Electric. We had assumed the smaller 39-kWh pack would find its way into the Soul Electric, but that's not the case for the U.S. Kia says U.S. buyers demand a lot of range and on that front, the Soul Electric delivers. 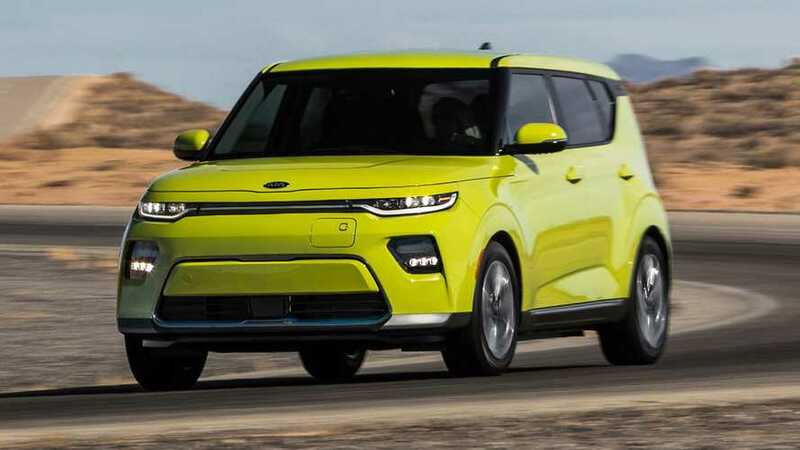 The next generation Kia Soul EV celebrated its world premiere at the 2018 Los Angeles Auto Show. One of the most upbeat urban compact crossovers is back with even more appeal & upgrades. The vehicle will be powered by a next-generation, state-of-the-art liquid-cooled lithium-ion polymer 64 kWh battery. That’s the same as what’s found in the Kia Niro EV. Considering that the current Soul EV, with its 30-kWh battery pack, is EPA-rated at 111 miles, we figure this 2020 Soul EV, with 64-kWh on board, will travel close to 240 miles per charge, maybe even more. Sadly, since it's Kia, this will be a limited offering in the U.S., so availability will be an issue. Looks as though we undershot on range by some 3 miles. We'll try to hone in a bit better in the future. Hopefully, those three additional miles make all the difference for future owners. The 2020 Soul Electric will go on sale in the U.S. in limited form later this year. Pricing will be announced at a later date. 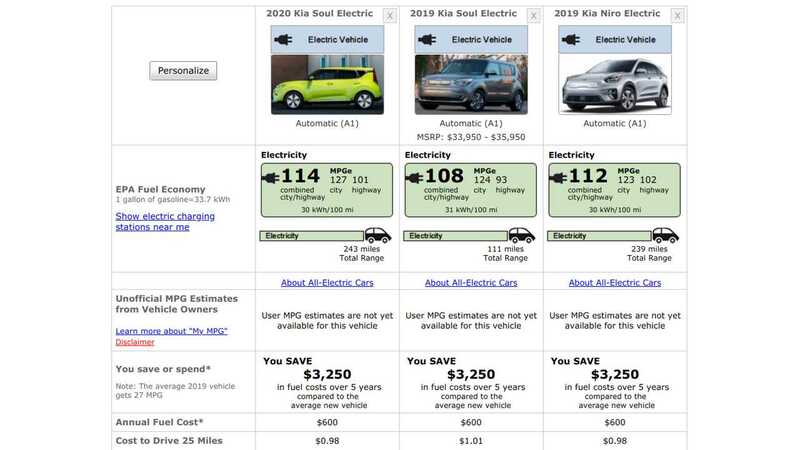 Check out the 2020 Soul EV in additional colors here and take a look at our range comparo below.